Suitable for ages 0 - 11. Can you complete the Wacky Arena? 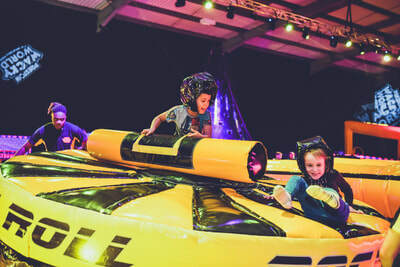 Grab your friends and take on our inflatable activities and games in our total wipeout style arena show. Once you enter the arena you can enjoy all the activities and games as much as you like within your allocated time slot. Each session is 60 minutes long. It's your time to be a mini Ninja Warrior and take on our custom built inflatable activities. 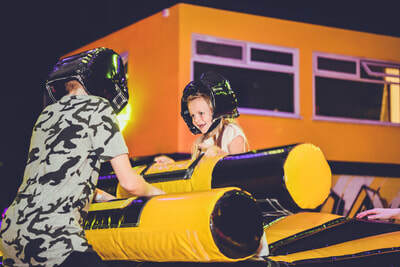 Parents and guardians can also take part in Wacky Bounce or just sit back, relax and let the little ones go crazy as you enjoy some beautiful food and drink from the Wacky Diner.